The feminized Ese T. Bilbo by Genehtik Seeds is the autoflowering version of the Canadian Sweet Tooth. This strain really puts the pedal to the metal and switches to flowering after only 2 weeks of vegetative growth. It reaches a height of 70cm and produces plenty of branches, all loaded with resinous buds that provide a soft and narcotic high with a sweet and rough aroma and flavor. The feminized Ese T. Bilbo by Genehtik Seeds is the quick- and autoflowering version of the Canadian Sweet Tooth. This second-generation variety is a treat on speed and requires only 2 weeks of vegetative growth before it switches to flowering. The plants reach a height of around 70cm and develop ample amounts of branches that are loaded with buds, maybe not the biggest, but many of them and covered with sticky resin. 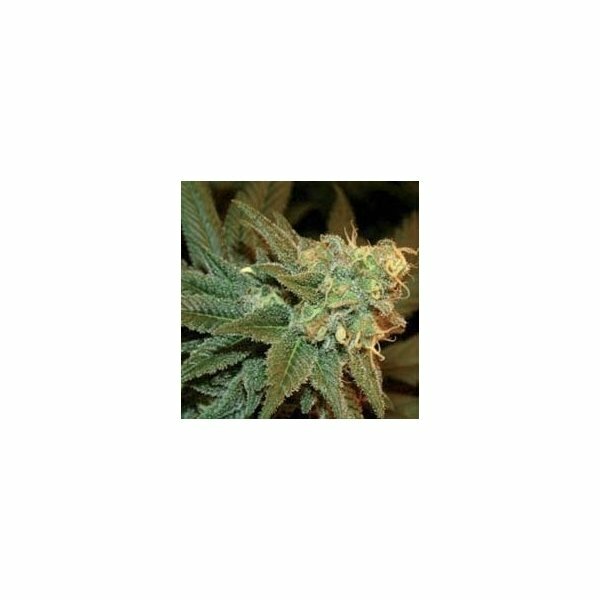 Ese T. Bilbo by Genehtik Seeds is suitable for both indoor and outdoor growing and finishes rather quickly in both cases; indoors it takes 60-70 days and outdoors 8 weeks. An average indoor harvest amounts to 45g per plant and the nuggets have a sweet and rough aroma and flavor with earthy tones - every sybarite will be satisfied.